Andover, MA, USA – Philips North America today announced Fosmo Med, developer of the Maji Intravenous (IV) saline bag, as the grand prize winner of the first-ever Philips Innovation Fellows competition, revealing the technology as the next big, meaningful innovation in health and well-being. The new IV solution technology has the potential to save millions of lives worldwide from dehydration-related diseases, such as cholera. "We’re very excited to be named the winner of the Philips Innovation Fellows Competition," said Ben Park, chief executive officer and founder of Fosmo Med. "Maji will enable many more IV bags to be shipped for the same cost, stored safely and transported to remote sites. The potential life savings could be in the millions annually." "We are thrilled to name Fosmo Med as the grand prize winner and to support them as they work to take Maji to the market," said Greg Sebasky, chairman of Philips North America. "As a company committed to meaningful innovation, it is gratifying to find a social enterprise that has the potential to revolutionize the medical device industry with a simple, forward-thinking solution." "Maji shows Fosmo Med’s commitment to providing affordable healthcare and well-being above all else," added Sebasky. Fosmo Med was selected from among hundreds of entries to the Innovation Fellows Competition. 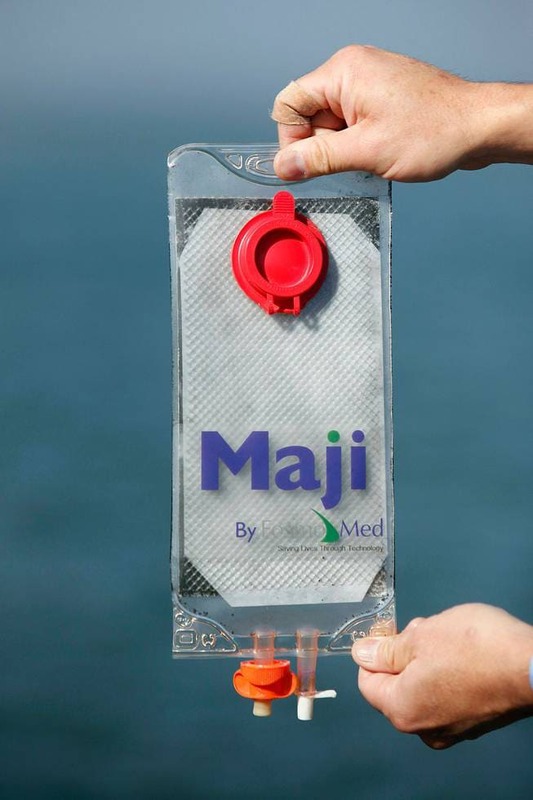 The company secured funding from the public through the crowd funding portion of the competition on Indiegogo, global web-based crowd funding site, and, once named a finalist, the Maji IV saline bag was named the "most meaningful" innovation by Philips employees. In addition to $60,000 in prize money, Fosmo Med will receive an all-expenses-paid trip to Philips’ USA headquarters to meet with Philips leadership for mentor and whiteboard sessions to support development of the Maji IV. Other finalists in the competition included Breath Acoustics, Filterwatch, Game Face Gear and ZG-1: LED. Each of the finalists received a $10,000 cash prize, in addition to the funding raised through Indiegogo. 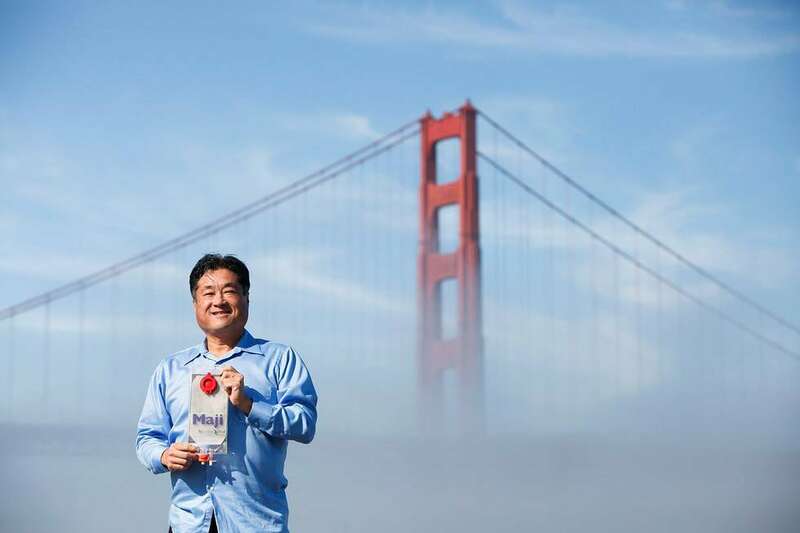 Ben Park, chief executive officer and founder of Bay Area-based Fosmo Med, displays the Maji Intravenous (IV) saline bag, the grand prize winning entry of the first-ever Philips Innovation Fellows competition. (AP Photo/Alison Yin). Philips North America today announced Fosmo Med, developer of the Maji Intravenous (IV) saline bag, as the grand prize winner of the first-ever Philips Innovation Fellows competition. The social enterprise will receive $60,000 in prize money and mentoring sessions with Philips leadership. (AP Photo/Alison Yin).